Acknowledging that the country needs a comprehensive energy policy, Modi stressed on the need to develop energy infrastructure and access to energy in Eastern India. 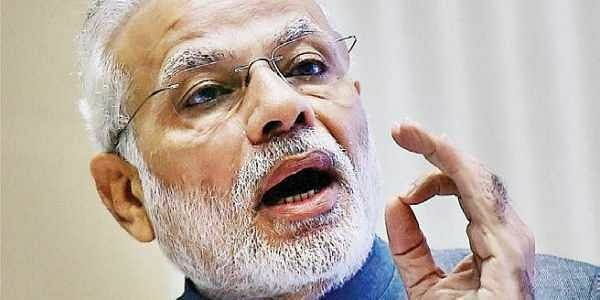 NEW DELHI: Prime Minister Narendra Modi on Monday raised concerns at the status of the energy sector in the country, which he termed ‘highly uneven’. The Prime Minister also urged domestic and global energy majors to work on biomass energy and coal gasification. Acknowledging that the country needs a comprehensive energy policy, Modi stressed on the need to develop energy infrastructure and access to energy in Eastern India. He flagged the potential of biomass energy and also invited participation and joint ventures in coal gasification. Modi interacted with oil & gas CEOs and experts from across the world on Monday. Top CEOs and officials from Rosneft, BP, Reliance, Saudi Aramco, Exxon Mobil, Royal Dutch Shell, Vedanta, Wood MacKenzie, IHS Markit, Schlumberger, Halliburton, Xcoal, ONGC, IndianOil, GAIL, Petronet LNG, Oil India, HPCL, Delonex Energy, NIPFP, International Gas Union, World Bank, and International Energy Agency were present at the meeting. Many participants strongly recommended the inclusion of gas and electricity in the GST framework. “…scope for reform in many areas still exists,” the Prime Minister said. Highlighting the possibilities for innovation and research in the oil & gas sector, Modi indicated that as India moves towards a cleaner and more fuel-efficient economy, the benefits should expand horizontally to all sections of the society, and in particular to the poorest. Union Ministers Dharmendra Pradhan, and senior officials from NITI Aayog, PMO, petroleum ministry and finance ministry were also present. The suggestions made covered policy, administrative as well as regulatory issues.Rajiv Kumar, vice-chairman of NITI Aayog, in a presentation gave an overview of the work done in this sector. He also emphasised the expected growth in energy demand in India, and the significant progress made in electrification and LPG expansion. The global CEOs and the Prime Minister also discussed contract frameworks and arrangements, requirement of seismic data sets, encouragement for biofuels, improving gas supply, setting up of a gas hub, and regulatory issues.